Great feature from the Atlantic 10 Conference on the musical backgrounds of several Rams has contributed to their success on the basketball court, and in turn, has contributed to VCU’s 13-4 start. 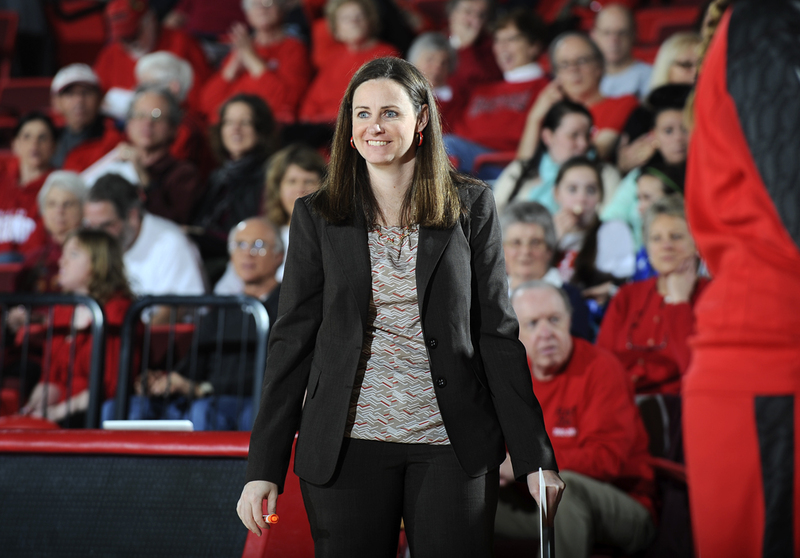 When Beth Cunningham took over as head coach in 2003, there was exactly one postseason banner hanging inside the Verizon Wireless Arena for the women’s basketball program. If that wasn’t bad enough by itself, that lonely piece of fabric was old enough that the tournament it was intended to celebrate, the National Women’s Invitation Tournament, had changed its name since the Rams’ 1995 appearance. Now there are five banners, including a giant gold and white one from VCU’s 2009 NCAA Tournament appearance. 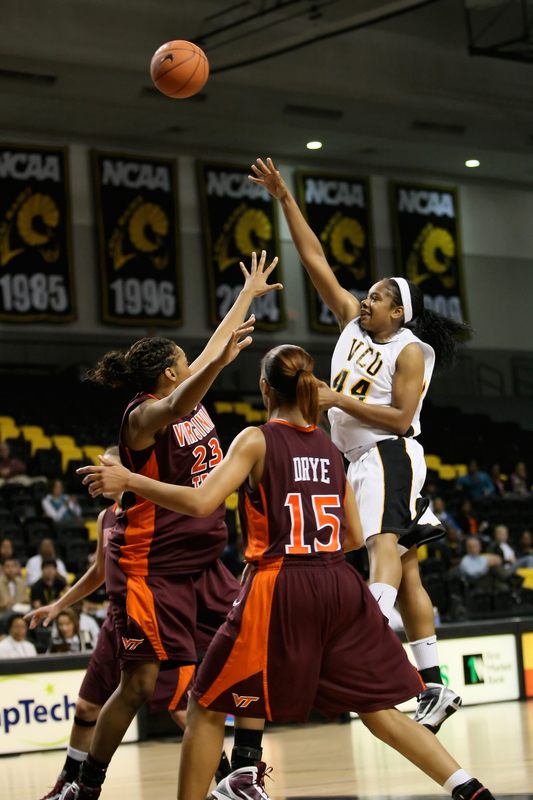 In Cunningham’s eight seasons at the helm, the Rams have rewritten VCU Women’s Basketball history. VCU has reached the postseason in four consecutive seasons. The Rams are working on a school-record streak of five straight winning seasons. Three of the program’s four 20-win campaigns have come under her watch. The school’s all-time leader in victories with 148, Cunningham has coached two WNBA draft picks and an All-American. At this point, when she takes inventory of the program, Cunningham doesn’t have to ask what the Rams have done, it’s what they still need to do. When she looks up into that northwest corner of the arena, she knows the answer. The Rams are still chasing their elusive first conference championship, Colonial Athletic Association or otherwise. VCU reached the championship game in 2008, another first for the program, but fell to Old Dominion. “It’s something that you’d like to have already done, hang a championship banner, but there’s been so many good things that have happened with our program…it’s part of the building process,” Cunningham, 148-100 in eight seasons, said.